Two weeks ago, I have created a WordPress installation on an OpenShift test system. It is very convenient that OpenShift has provided me with persistent volumes for WordPress and database. However, those volumes are not easily accessible on the OpenShift host. Therefore the question arises: how can I create a MySQL backup on OpenShift without prior knowledge of the database credentials? We will explore below, which command-line options OpenShift gives us at hand for accomplishing backup tasks on command-line. Here, I am closely following the instructions found in the official v3.10 OpenShift documentation, chapter 30. Now using project "wordpress-standalone" on server "https://console.159.69.198.32.nip.io:8443". We also can write the POD name into a POD variable as follows. If the result is weird or unambiguous, you might need to select the correct name from the list above. However, the user and password will be some random, auto-generated values in your case. We now can use this to dump the database. Note: the environment variables MYSQL_USER and MYSQL_PASSWORD are defined within the mysql container. Therefore, those environment variables can be used inside the container. Here, you need to replace ‘myuser’ and ‘mypass’ by the User/Pass credentials you will have found out on step 2. You should never perform a backup and rely on it without having tested that a restore will work correctly. We will do that now. 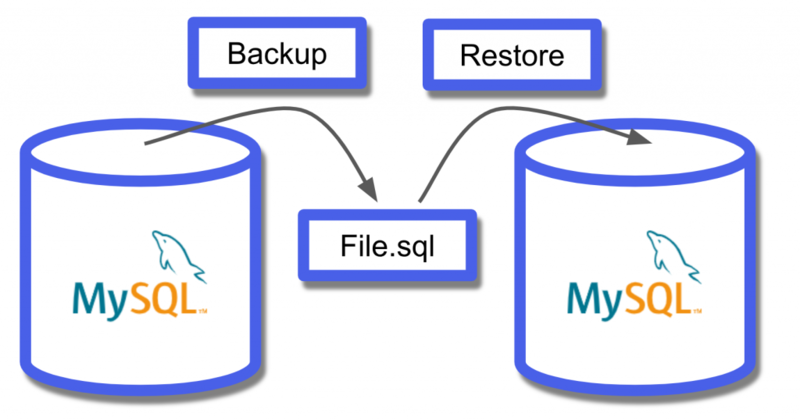 For a simple test, we create a non-persistent MySQL POD (a POD without volumes), copy and import the backup file into the database, and run MySQL commands inside the POD to verify that the correct data is retrieved. Note: to create a persistent MySQL installation with a volume attached to it, use the mysql-persistent instead of the mysql-ephemeral template. For our purpose to test the restore, an ephemeral installation is sufficient. Note: according to the documentation, the DATABASE_SERVICE_NAME must be unique (within the project?). ‘mysql’ is the default value, so we are choosing ‘mysql2’ here. Subsequently, you should see many OK messages. At this point, You might need to mess around with GRANTs as described in the OpenShift docu. However, I was working as root, and it was not necessary in my case. Yes, the content seems to be the same on the source system and on the destination system. The backup and restore were successful, it seems.